Most of the cases were detected in the Shastri nagar area, where fogging and other anti-larvae activities are being carried out to prevent the spread of the virus. The first case had surfaced on September 22. The Zika virus, transmitted through Aedes aegypti mosquito, causes fever, skin rashes, conjunctivitis, muscle and joint pain. 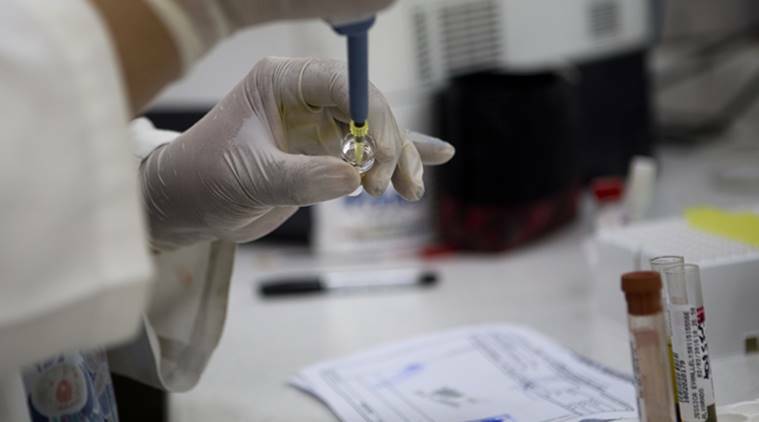 Ten more people in Rajasthan’s Jaipur district have tested positive for Zika virus, taking the total number of such cases to 42, a Union Health Ministry official said Friday. All the 10 cases were detected in the Shastri Nagar area of Jaipur. The figures were issued by the Rajasthan Health department after a review meeting chaired by Additional Chief Secretary, Medical and Health, Veenu Gupta Friday. “Thirty out of the 42 patients are now doing fine after treatment,” an official of the department said after the review meeting where the measures taken to contain the situation were discussed. The department has also issued an advisory for pregnant women staying outside Shastri Nagar not to visit the area. The number of monitoring teams in Jaipur has been increased from 50 to 170 and a special isolation ward has been created at the Hira Bagh Training Centre to treat the Zika virus-affected patients. A team from the National Institute of Malaria Research (NIMR) recently found Zika virus in some mosquitoes taken as samples from Shastri Nagar, leading to suspicion they are behind the infection. Dr Neena Valecha, the NIMR director, had earlier said the virus appears to be locally transmitted. The state government has been provided information, education and communication (IEC) material prepared to create awareness about Zika virus and prevention strategies. The Zika virus, transmitted through Aedes aegypti mosquito, causes fever, skin rashes, conjunctivitis, muscle and joint pain. It is harmful to pregnant women, as it can lead to microcephaly, a condition in which a baby’s head is significantly smaller than expected, in newborn children. In India, the first outbreak was reported in Ahmedabad in January 2017 and the second was reported in Tamil Nadu’s Krishnagiri district in July that year. Both these outbreaks were successfully contained through intensive surveillance and vector management, the ministry had said earlier. The disease continues to be on surveillance radars of the Union Health Ministry although it is no longer a Public Health Emergency of International Concern under WHO notification since November 18, 2016.